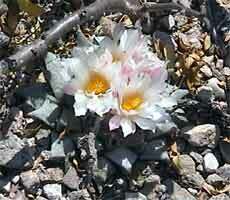 A. retusus LRM276, a large plant with creamy colored flowers. A. retusus LRM276, an average sized plant with pink tinted flowers. 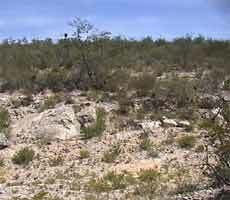 A. retusus LRM276, plants occur mainly in the clearings between low shrubs. This is a typical ‘furfuraceus’ type retusus with small very shapely pointed tubercles, it differs considerably from the long tubercled plants found to the west at Huizache, and a few kilometres to the east at Magdalleno Cedillo. 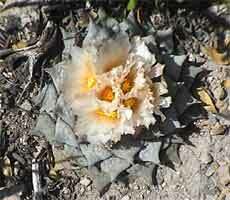 The tubercules are often attractively wrinkled, The plants grow on the southerly facing slopes of limestone hills and are accompanied by Turbinicarpus andersonii (panarottoi).